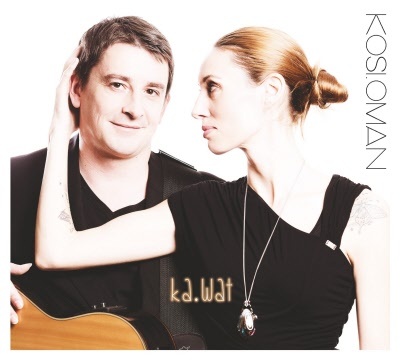 In 2011, Slovenian singer/pianist Mojca Kosi and Austrian guitarist Daniel Oman formed the duo "kosi.oman". Although they each had their roots in different musical genres and had already become well-known individually in their respective musical circles, when they first made music together, they felt they had finally "arrived". In the purely acoustic setting of voice and guitar – without sound effects, loops or electronics – they return to the place where their love of music once began. Their fascination with musical color, groove, dynamic elements and the sound of wood and hands joining together brings a repertoire of pop songs and jazz standards to life: the music they love and now want to share with their audience in its most authentic and truest form. Playing together as a duo has become the center of their lives – from intimate concerts in their local music scene to the first festival appearances in Germany and the Czech Republic. With their first mutual CD, "KAW.AT" (ATS-Records Austria), Mojca and Daniel would like to share their vision at home and abroad. "kosi.oman" stands for the love of pure, acoustic sound – as they strive to take what appears to be less, and give their audience so very much more!